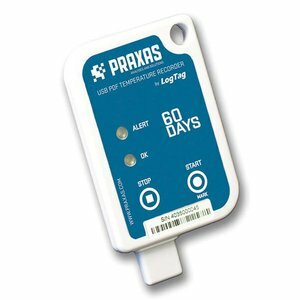 Request the price of this product. Fill in your information. 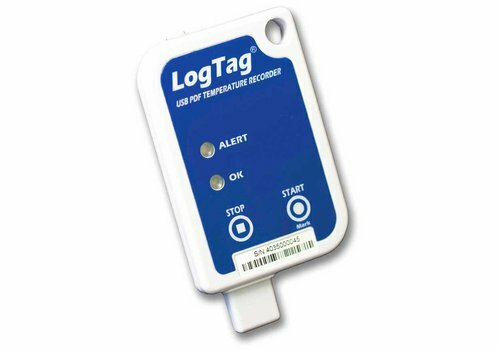 The LogTag UTRID-16 provides a display to allow immediate viewing of current and past temperature and alarm statistics as well as the facility to create a detailed PDF report without need for extra accessoires and proprietary software. The display shows recording status, current temperature, alarm status of up to six user-configurable alarms and duration of any temperature excursions. 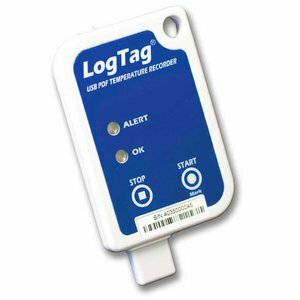 When the UTRID-16 is connected to a computer using the integrated USB plug, a detailed PDF report of the recorder temperature data and alarms can be automatically generated. 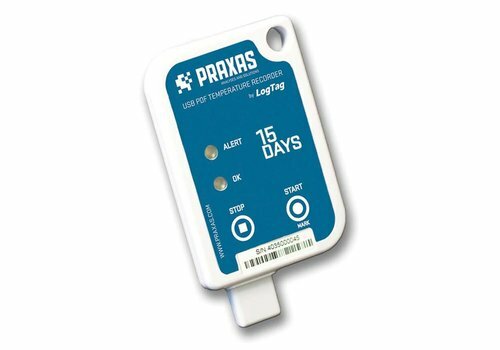 For more detailed data analysis, the UTRID-16 also creates an encrypted data file compatible with LogTag Analyzer operating software and date management options. 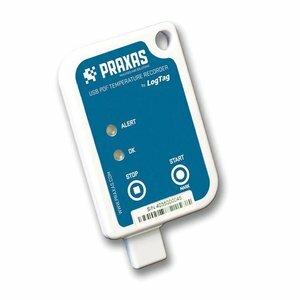 The Praxas Usric-8 is the temperature recorder to monitor temperatures during transport or storage of goods. 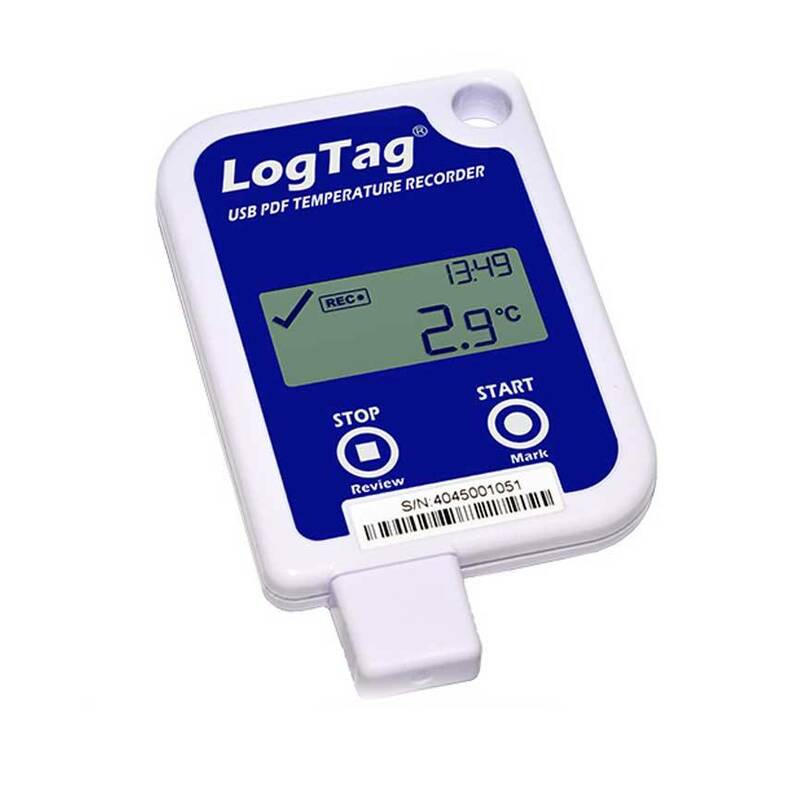 Within seconds you can read the data through an automatically generated PDF. 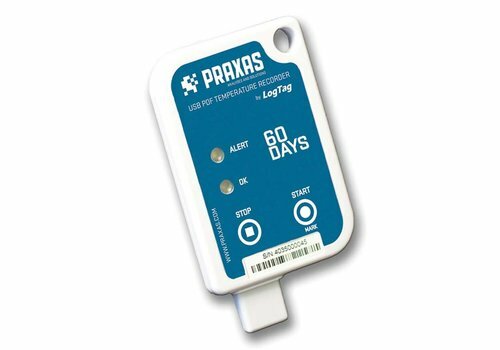 The Praxas Usric-8 is the temperature recorder to monitor temperatures during transport or storage of goods. The recorder has an integrated USB connector so you can connect the recorder to your computer directly. 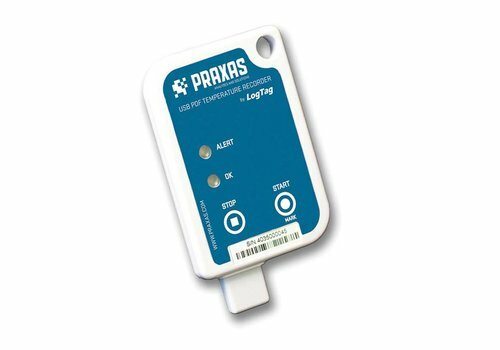 The Praxas Usric-4 is the temperature recorder to monitor temperatures during transport or storage of goods.